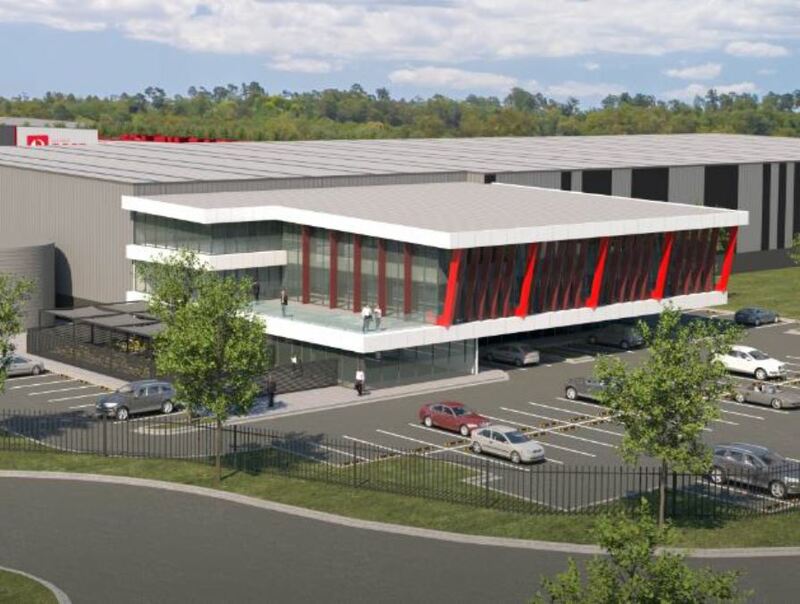 A development application has been lodged for a large state of the art manufacturing facility, located at 7001 Robert Smith Street, Redbank. 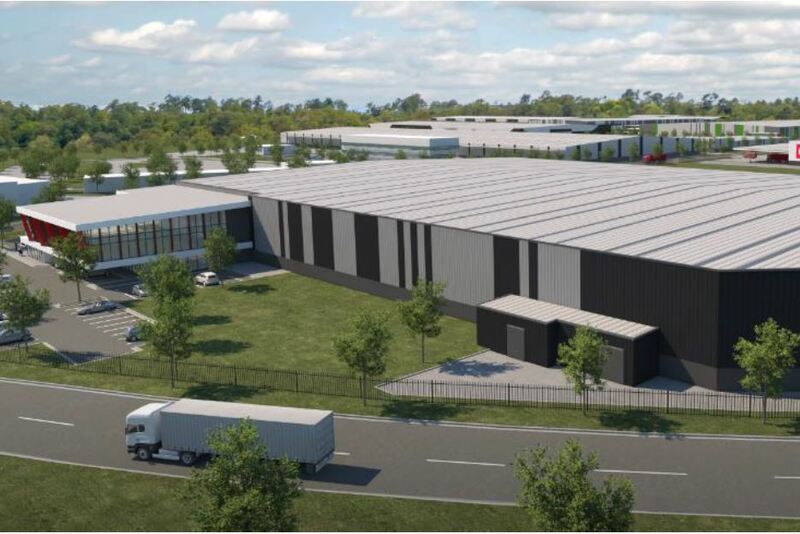 The proposed warehouses will house logistics, processing and distribution facility for Majans, an Australian snack food manufacturing business. 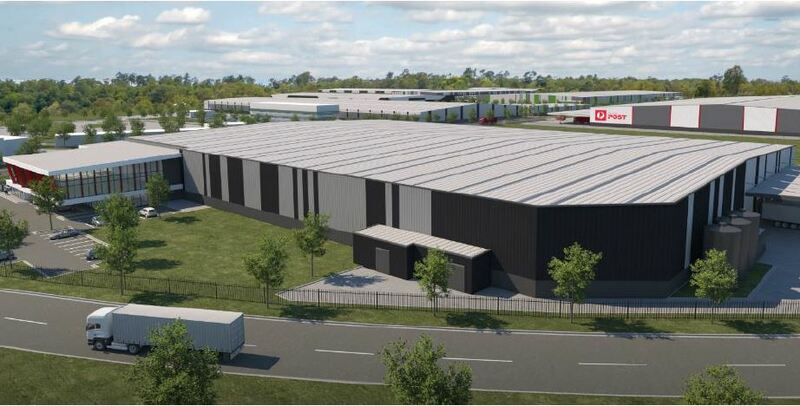 Designed by Space Frame the proposal will house a state of the art food manufacturing / packaging and distribution facility in a large propose built warehouse that will include the storage of raw materials, finished product, packaging, office, amenities and small workshop. 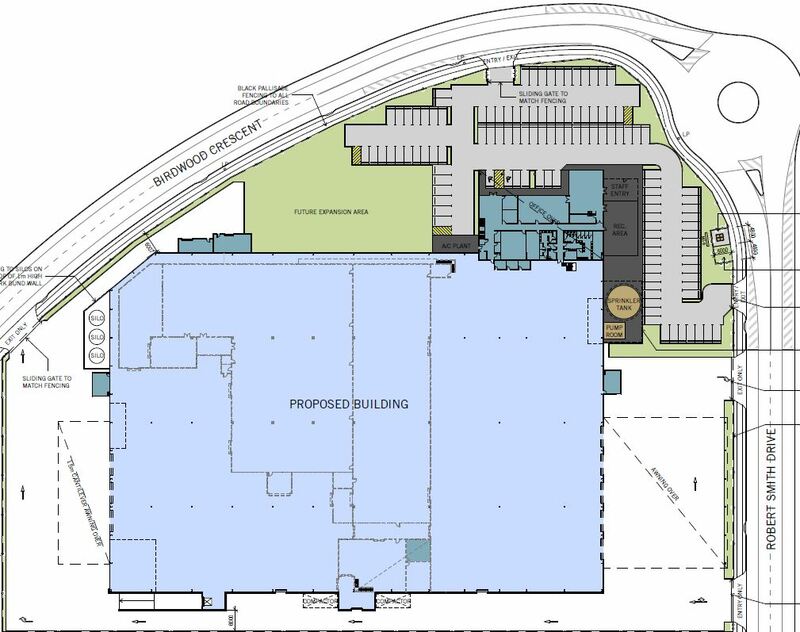 The proposal warehouse has a maximum building height 3 stories (13.75m in height). 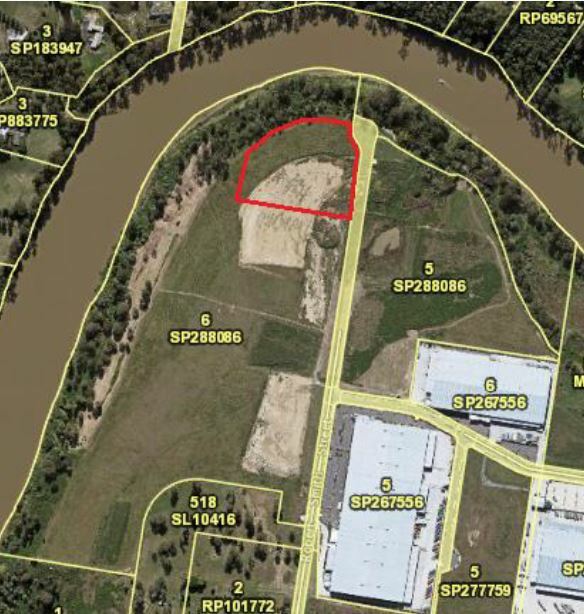 The site fronts Robert Smith Street, separating the site from the waterway corridor (Brisbane River) and Rheinmetall Defense. – 8 roller shutter doors. The planners at Urban Systems state, “The outcomes sought by this module are for high quality and attractive buildings in appropriately landscaped settings. The probable solution of street facades of buildings being constructed of brick or painted masonry / no reflective glass is not particularly relevant or desirable for the proposed development. 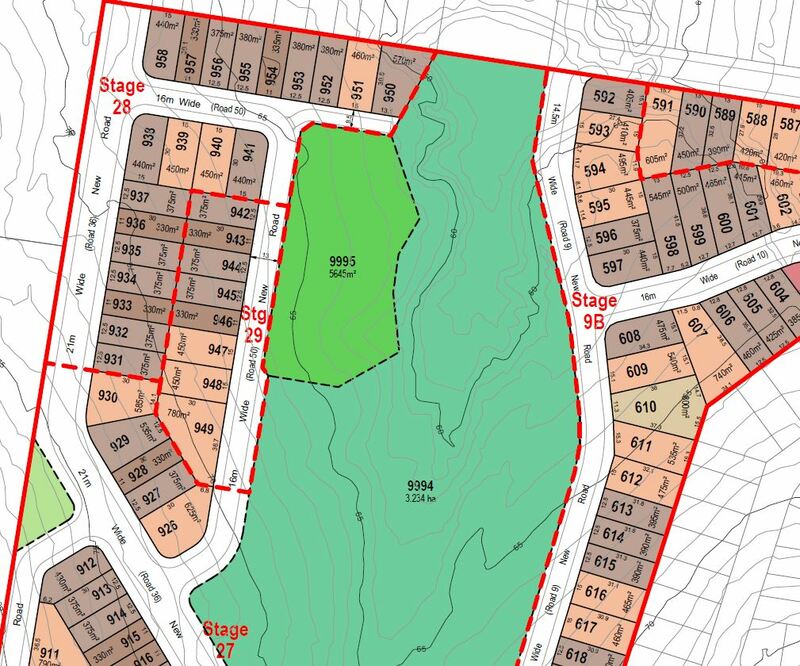 The other probable solutions are not relevant as the use is a consistent use and the site does not adjoin residentially zoned land”. 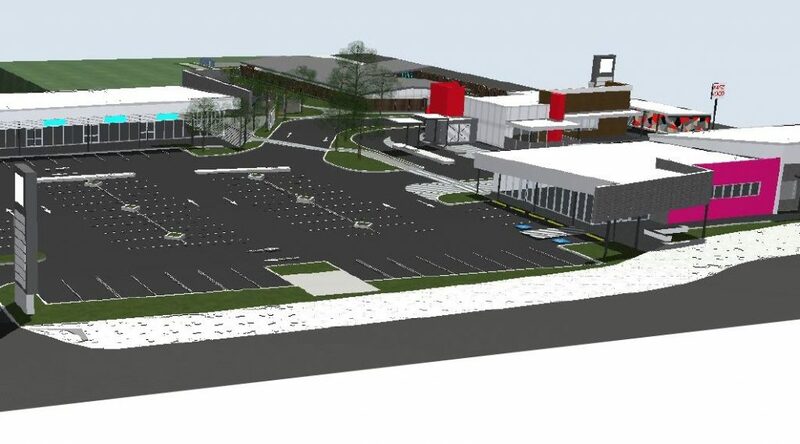 118 car parking spaces (two (2) PWD spaces) and large truck maneuvering space provided, with five (5) driveway access locations along Robert Smith Street, which 2 are dedicated to staff/visitor car park and three (3) separate truck access locations. 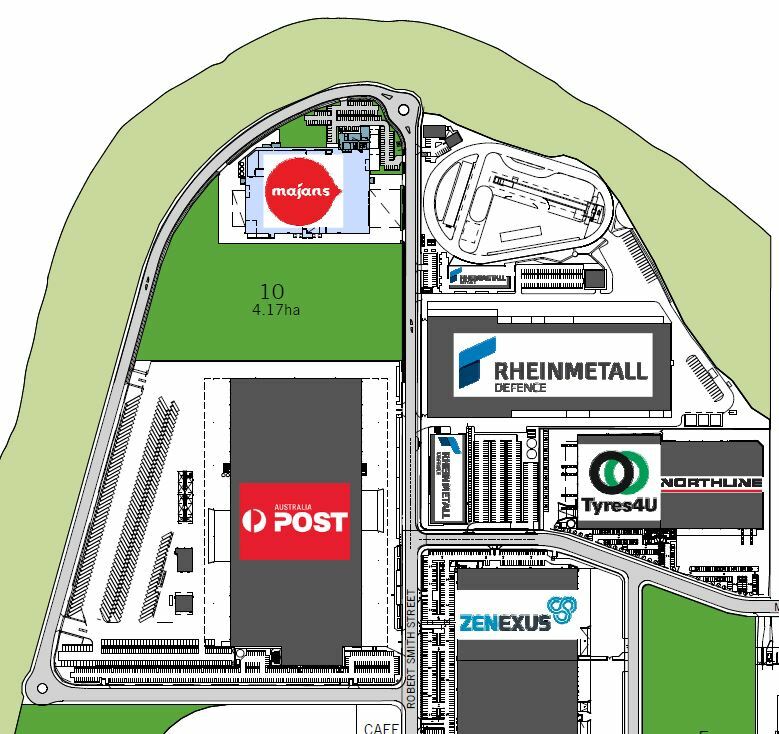 The site has extensive hardstand area and proposes internal driveway maneuvering on site to separate truck movements with the main car park. 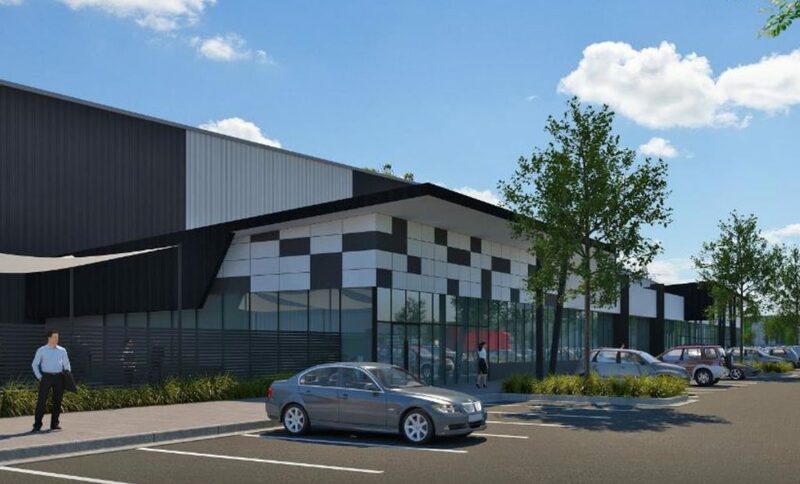 The proposal is 16,102sqm of GFA, with 18,510.66sqm (63%) site cover over the 29,382sqm, part of the subject site (Stage 2a Redbank Motorway Estate).